The cupboards in the Man Cave are empty. Really. I need to go shopping. The hardest part of shopping in our little almost-in-New York town is not getting to the grocery store, not running through vast isles to grab something edible and not schlepping all of it to the check-out line. The toughest part of the grocery-store-expedition is getting through the check-out isle. Customers here not only haggle, they’ve made it an Olympic sport. I swear there’s a back room – somewhere – where they exchange expired coupons and Canadian currency just to find out who can get through with what. The winner gets an expired magazine. “You can’t use that this time, Ma’am,” says the checker with the lilting Jamaican accent. 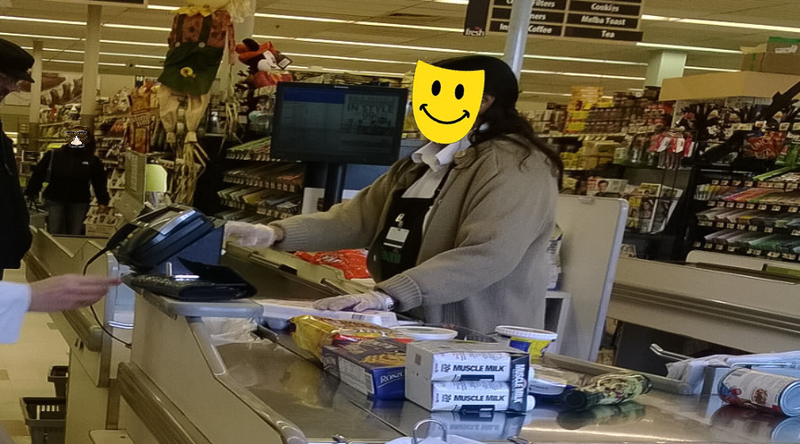 “MaaaAH, ” says an adult man standing off to the side, “Is everything O-K wif deh CHEEEEZ?” Clearly, this shopper has brought re-enforcements. At this point the manager comes over and points out that the “dollar off” is for the next purchase. So, shopper and son leave somewhat satisfied and the checker is breathing a sigh of relief. But the rest of us in line are trembling. TREMBLING. Because we know that shopper will have to come back. Back to use that dollar-off coupon. When we least suspect it.